But it wasn't a great ceremony for women. 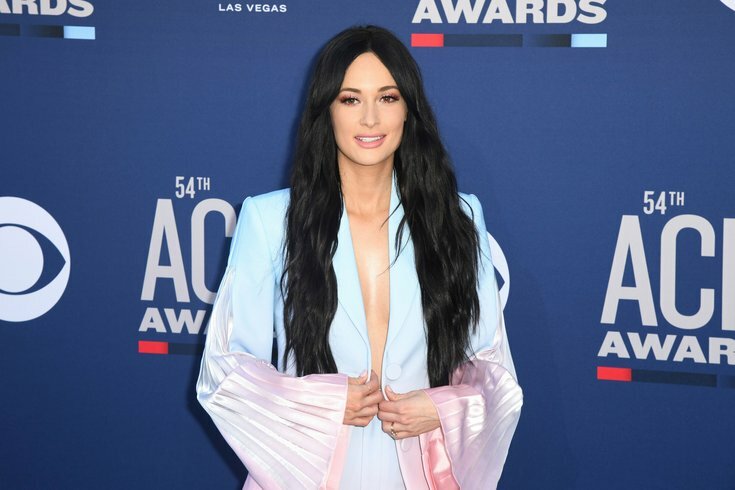 Kacey Musgraves attends the 54th Annual ACM Awards at the Grand Garden Arena on April 7, 2019 in Las Vegas, Nevada. The Academy of Country Music held its awards show last night on CBS with host Reba McEntire. This is the second year in a row that the awards show has not nominated a woman in the category, which was awarded to singer Keith Urban last night. Only eight women have won the award in its 48-year history. Kacey Musgraves took home the top album prize again, after winning the Grammy and CMA for album of the year for "Golden Hour." This is only the third album to win a Grammy, CMA award, and ACM award. The only other two albums to receive all three awards were the “O Brother, Where Art Thou?” soundtrack in 2000 and Taylor Swift’s “Fearless" in 2008. Musgraves also won for female artist of the year. “The award goes out to any woman, or girl, or anybody, really, that is maybe being told that her perspective is too different to work," said Musgraves, who has not always been the most conventional country singer, as she accepted the award. The night saw predominately male wins. Only three women would go on to win awards last night, including female artist of the year Ashley McBryde, Nicolle Galyon for co-writing “Tequilla” for country duo Dan + Shay, and Musgraves. See below for a full list of the 2019 nominees and winners, who are in italics.